March 20, 2019 March 20, 2019 Comments Off on How is JIO associated with the introduction of the new plan for Vodafone recharge?? The emergence of JIO in the telecom sector has made other telecom operators to suffer from huge loss. The introduction of the cheapest plans by JIO has made everyone directed towards it. This made JIO a telecom operator with maximum subscribers in the shortest period of time. IN order to come up from such losses borne by Vodafone and increase its number of customers, it introduced its new plan. It wanted to stay ahead among the other telecom operators. Apart from this plan, there are several other plans that have been introduced with varied benefits as well as validity. Rs.154 Plan: This plan offers the users with voice calling benefits. The calls can be placed between 12AM to 6AM. The users of this plan are provided with 600 minutes for making local calls. If the calls are placed instead of these six hours, the users will be charged @Rs.2.5p/s for both local as well as national calls. The data will be provided on the basis of 4p/10KB. This plan has a validity of 180 days from the data of getting this Vodafone recharge done. Vodafone unlimited Plan @Rs.169: This plan offers the subscribers with unlimited calling along with a facility of free roaming. This plan has a validity of 28 days and the subscribers will also be provided with 1GB 3G/4G data everyday along with 100SMS/day. Vodafone minimum recharge plan @Rs.24: This is a plan that acts as an extension of validity for further 28 days. Vodafone unlimited plan @Rs.396: The users will be facilitated with 1.4GB data/day. Also, they will get unlimited voice calling for both local as well as national calls along with 100 SMS in a day. The telecom operators have now made a criterion that has to be fulfilled by a user, in order to avoid deactivation of his/her SIM. 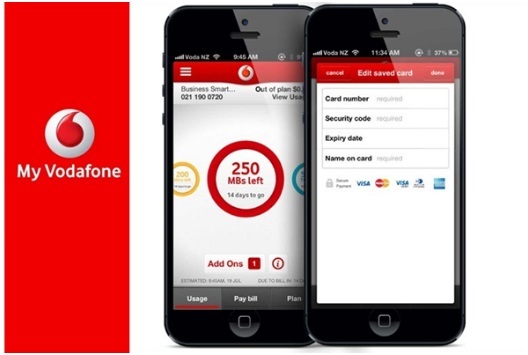 The users are required to maintain a minimum balance in their account, if it is not, they should get a vodafone recharge done instantly, so as to maintain the minimum balance. If one fails to do so, his/her mobile data as well as calls will be barred for 15 days. If one fails to make a Vodafone recharge after that as well, his/her incoming calls will also be barred. In the past times, getting a recharge done was a daunting task, but now the increasing use of electronic gadgets like Smartphones, tablets have led to a great help. One can now easily get a mobile recharge done online with the help of mobile apps. This recharge can also be done, if a person is not having enough cash with him, as he/she can go for other modes of payments for getting the recharge done like UPI, net banking, Paytm App, PhonePe, debit card, credit card, etc. One must always keep in mind that in order to make a recharge successfully, he/she must have strong internet connectivity.